Incessant rains and landslides wreaked havoc in Dima Hasao district of Assam snapping rail and road links with Barak valley and Lumding. All communication links to and fro except Haflong-Lanka road remained snapped thus making the district virtually cut off from the rest of the state. The condition of Haflong-Lanka highway is also reportedly very critical. The National Highway is the lifeline of the district. Haflong, the headquarters of Dima Hasao, is completely cut off from Maibang sub-division, Harangajao, Ditokchhera and Mahur. This has posed serious problems for the people of the district. Restoration of road links in the district assumes a difficult proportion as the district administration and National Highway Authority of India are yet to take concrete steps in this regard. 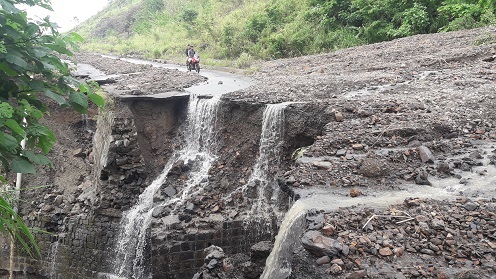 Landslides at 12 points along the Jatinga-Mahur highway have virtually perished the road. An RCC bridge also got damaged and washed away by flood water. According to sources, chances of restoring the communication link through the national highway between Haflong-Lumding within a week are very ‘slim’. Restoration of rail link between Haflong and Barak valley is also uncertain. Though the track certificate was issued on June 14 at 9.30 pm, heavy landslides yet again on railway track between Ditakchhera and Bandarkhal on Thursday night had damaged the track and made it difficult to restore rail communication with South Assam. 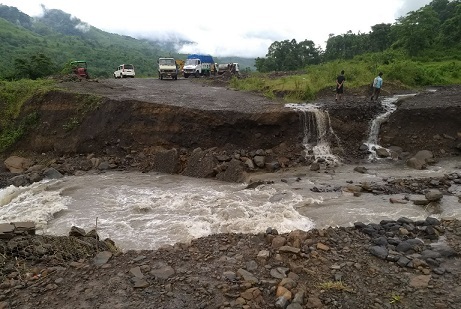 Dima Hasao deputy commissioner Amitabh Rajkhowa told Northeast Now that repairing of the highway would begin soon once rain stops. “But it will take time to restore the road link between Haflong and Lumding as it is breached at 12 points,” he said.